Langkawi, 28 October 2014: Four-time Major Champion Ernie Els was today joined by royalty to celebrate the official launch of his first ever-golf course creation in South East Asia – The Els Club Teluk Datai. In the company of Her Majesty Raja Permaisuri Agong Tuanku Hajjah Haminah, The Queen of Malaysia, World Golf Hall-of-Famer, Els, struck the opening tee shot on the world’s most hotly-anticipated new course. Key dignitaries, media and VIP guests were also invited to witness the historic unveiling and enjoy a unique insight from fans’ favourite Els, the winner of more than 60 professional tournaments worldwide. “The course is truly breath-taking and I am delighted with what we have achieved here. I endeavoured to make the most of this unique location and I believe that we have done just that. 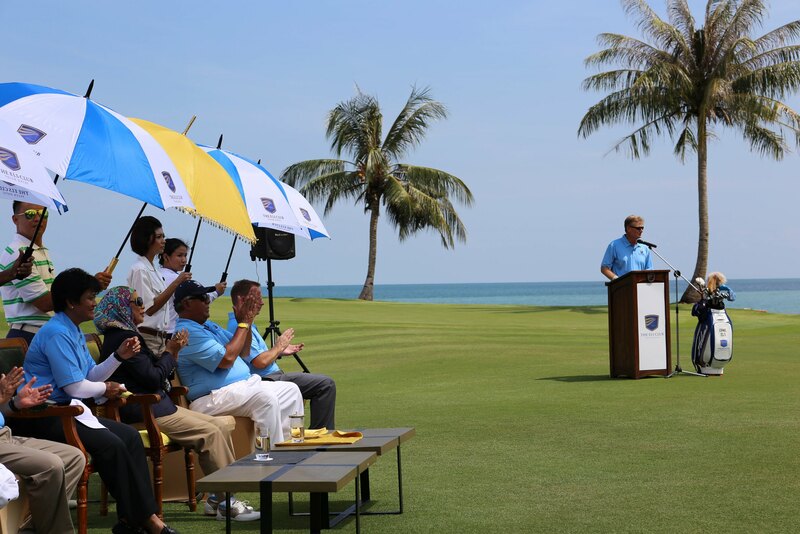 Having already been voted the region’s ‘Best Golf Course’ at the 2014 Asia-Pacific Property Awards, The Els Club Teluk Datai has gained unprecedented interest among the world’s golfing media and industry officials. Nestled between ancient rainforest and the Andaman Sea on the iconic island location of Langkawi, the 18-holes championship course will serve as a focal point for the award-winning Datai Langkawi resort, which is a favourite amongst international travellers. 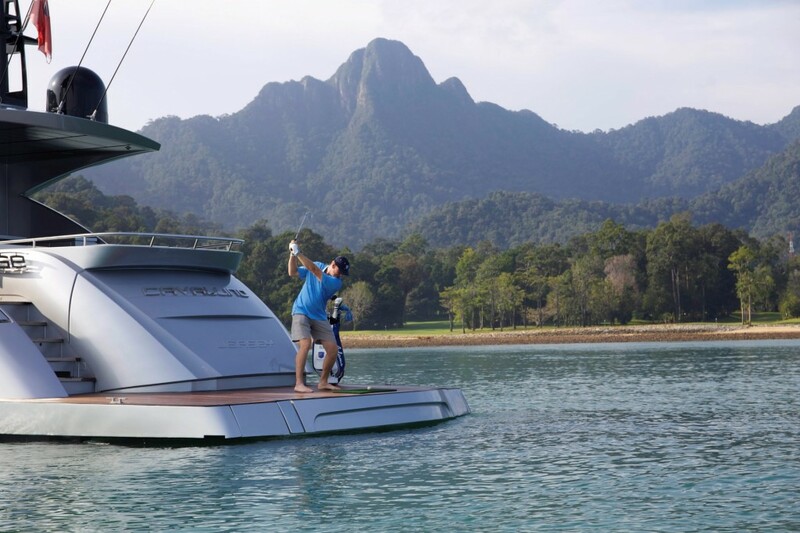 The Els Club Teluk Datai will now play an integral role in realising the vision of resort owners Destination Resorts and Hotels Sdn Bhd (DRH) in developing golf and bespoke tourism experiences in Malaysia. Charged with developing strategic tourism, DRH selected The Els Club Brand for three Malaysian golf developments, two of which are currently under construction in the southernmost state of Johor and will transform the nation’s golf offering over the coming years. “Today marks the start of a new era for Langkawi, Destination Resorts & Hotels as well as Malaysia. Our business strategy by design seeks to create sustainable and economically viable tourism propositions. Given golf’s positioning on a global stage and the demographic it attracts we have sought to redefine standards in the regions golf offering. Ernie is an exemplary partner, whose Els Club brand stands for the kind of excellence we strive towards, which will add impetus in our efforts to attract tourist to the island of Langkawi. The Els Club Teluk Datai will certainly become a flagship asset for our business and give enjoyment for many more generations to come. ” commented Tunku Dato’ Ahmad Burhanuddin, Managing Director of DRH. Senior Vice President of The Els Club Malaysia, David Townend, spoke of his excitement at officially opening to the public. He said: “This is one of the world’s most visually stunning golf courses, so the early feedback we have achieved and the tremendous reaction we have experienced here today is really no surprise. The course is managed and operated by Troon Golf, the global leader in upscale golf management, who oversee operations at some of world’s pre-eminent golf resorts.